10 Things You Might Not Know About A NIGHTMARE ON ELM STREET | Warped Factor - Words in the Key of Geek. Geek Dave stays awake to bring you 10 things you might not know about the original 1984 A Nightmare on Elm Street. 1. Wes Craven first came up with the basic idea what would become A Nightmare On Elm Street from some newspaper articles about a group of Cambodian refugees from the Hmong tribe who had come to America to escape the reign of Pol Pot, and within a year of arriving three of them had died. The cause was always the same - the young healthy man would have a terrible nightmare, then refuse to sleep for as long as possible until they finally fell asleep from exhaustion. The man then awoke screaming, then died. Autopsy results revealed that they had not died because of heart failure, they had simply died. It was this lack of cause which intrigued Craven so much. Medical authorities have since called the phenomenon Asian Death Syndrome, a variant of Sudden Unexpected Death Syndrome (SUDS) and Brugada Syndrome. 2. Craven finished the script in 1981 and set about trying to sell it to a major studio, but no one wanted it. He said that "It just flew around" for three years until New Line Cinema picked it up. New Line Cinema were hardly a major studio at the time, in fact it was only the second movie they'd ever produced. The first being 1982's Alone in the Dark, directed by Jack Sholder and starring Jack Palance, which had been given a very limited theatrical release. When it performed poorly and received bad reviews it was released straight to video. A Nightmare on Elm Street saved the company from bankruptcy, and so they became jokingly known as "the house that Freddy built". 3. Freddy Krueger was not just a random name, but one with meaning for Wes Craven. When he was a child a schoolmate called Fred Krueger had bullied him for several years, and around the same time he'd been scared by a homeless man who was stood looking in through his house window. The hobo was wearing similar dirty clothes and hat to the ones we see on Freddy. 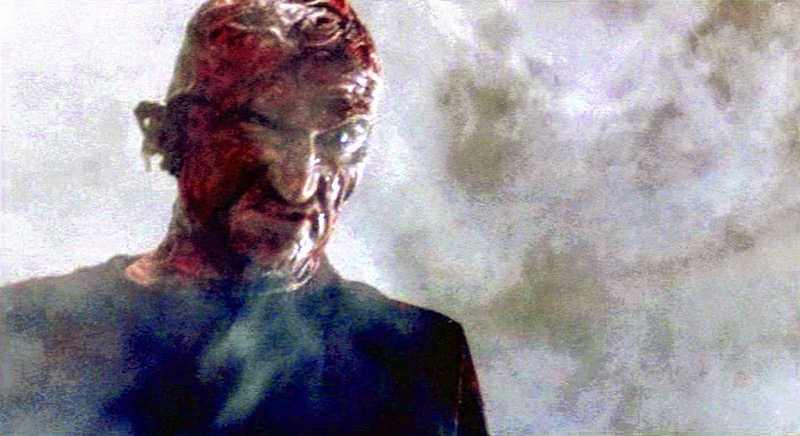 Craven originally planned for the Krueger's head to be considerably more gruesome. He wanted his teeth to be showing through the flesh over the jaw and a part of his skull showing through the head. However, make-up artist David B. Miller argued that an actor couldn't be convincingly made up that way. They briefly experimented with the idea of a puppet, but felt it would be too hard to film and wouldn't blend well with live actors, so these ideas were eventually abandoned. 4. Wes Craven initially planned on using a stunt man to play the part of Freddy Krueger, after all, the character had less than 7 minutes of screen time in the finished film, and originally it would've been only about half that. But after testing several stunt men, Craven realised he really needed an actor in the role. 5. Robert Englund was not the first choice to play Krueger. Originally David Warner was cast. 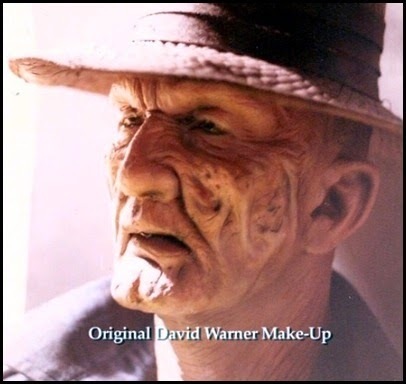 They even got as far as make-up test shots (below) but a scheduling conflict meant he had to withdraw from the movie, leaving the door open for Englund. 6. However, the very first time we see Freddy in the movie, that isn't Robert Englund - that is special-effects man Charles Belardinelli. Belardinelli was the only one who knew exactly how to cut the glove and insert the blades safely, because the first time Robert Englund tried on the glove he cut himself! 7. The scene where Freddy is set on fire, chases Nancy to the top of the stairs, falls back down and starts back up again was all shot in one take with several cameras, and was the most elaborate fire scene ever filmed up to that time. Stuntman Anthony Cecere won Best Stunt of the Year for the scene. 8. Heather Langenkamp beat over 200 actresses for the role of Nancy Thompson, some of the other actresses who auditioned for the role of Nancy were Jennifer Grey, Tracey Gold, Demi Moore and Courteney Cox. 9. 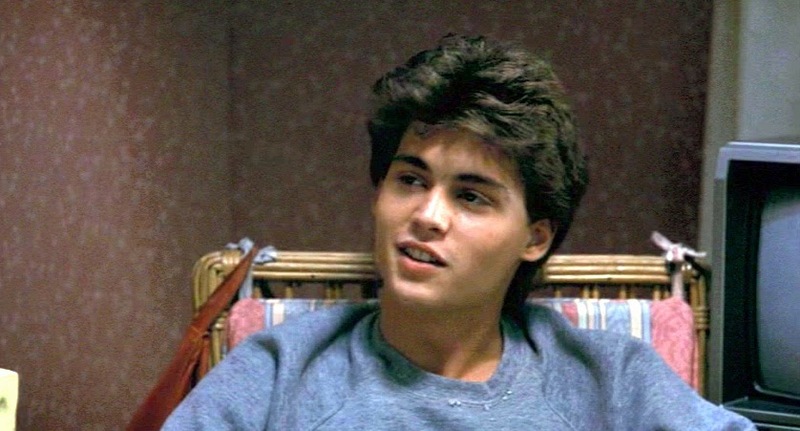 Charlie Sheen, John Cusack, Brad Pitt, Kiefer Sutherland, Nicolas Cage and C. Thomas Howell were all considered for the role of Glen Lantz, but it was Johnny Depp who got the part. It was actually his first ever film, in fact he'd only gone to the audition to accompany his friend. Legend has it that director Wes Craven's daughter spotted Depp in the crowd and told her dad he looked "dreamy". Craven asked if he'd like to read for a part, and whad'ya know, he got it! By the way, Depp's friend was not offered the role he read for but he did alright for himself in the future. You may be surprised to know that Depp's friend was Jackie Earle Haley, who co-incidentally would play Freddy Krueger in the 2010 remake. 10. 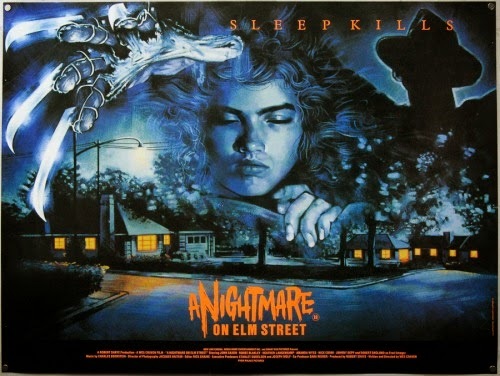 A Nightmare on Elm Street was produced on a budget of $1.8million, it recouped that within just 10 days of its opening in the US.